They stood in the arena on a large furry buffalo hide. Out of the darkness emerged a line of Ye'ii Bi'cheii. These mythical beings, according to Navajo legend, were something comparable to powerful demons in the Christian realm. They had the power to do terrible things, even kill. But if appeased in a special way, the Ye'ii Bi'cheii also could heal and bring benefit to those who knew how to ask. The first line of dancers, all men, walked in single file. They wore brightly colored kilts, much like the Scots wear, only brighter. Also like the Scots, they wore matching purses with leather straps slung over their shoulders. Had it not been for the head piece, one might expect these men to be marching to the sound of bagpipes instead of native drums. Back in 1932 gold prospectors Cecil Main and Frank Carr came upon something strange after dynamiting a vein in the San Pedro Mountains of Wyoming. One of the dynamite blasts opened a small cavern in the rock that measured about 15 feet long and four feet in height. The miners said the cavern had been totally sealed from the outside world by a thick wall of rock until they blasted it open. Yet inside the cavern Main and Carr found a fourteen-inch high mummified life form, sitting cross-legged on a small ledge. They said it had a humanoid form, with a face that looked like an old man. The head was flat, with large, heavy-lidded eyes and an unusually wide mouth. The body was so well preserved even the finger nails were visible on the hands. A dark, jelly-like substance covered the top of the head. I first heard about ley lines when my wife and I met a homeless young man at Sedona, Arizona. The man, whom we thought quite insane from time spent sleeping in the wilderness, said he could see the ley lines surrounding the Earth and knew how to alter the energies that follow them. Personal research has uncovered more information about these strange energy lines that literally circle the Earth. My late wife couldn’t wear a watch. Her body somehow magnetizes the metal components and within a few days a timepiece on her wrist will stop working. She also turned off streetlights when walking in the night. They just blinked off as she passed. Doris was one of many people in the world that apparently store and send out strong enough electric charges to affect the things around her. We all have experienced static electricity. That usually happens to people that live or work in the ultra-dry environment created by some winter heating systems. Our bodies are electrically charged energy systems. While I am incapable of explaining how it works, our brains are comparable in many ways to complex computer systems, constantly generating information while at the same time keeping our bodies operating. Among the famous mysteries of the sea is the story of the sailing ship Mary Celeste, found in 1872 in perfect condition, nothing out of order, and sailing on the open Atlantic without a soul on board. The crew of 10 people, including Captain Benjamin Briggs, his wife and daughter, vanished without a trace never to be seen again. Another similar historical disappearance occurred at the American colony on Roanoke Island, off the coast of North Carolina, in 1590. About a hundred men, women and children living in the colony went missing and no trace of them was ever found. Some theories suggest that the people were attacked by natives or they moved off the island and lived among the natives. That could never be proven. Then there was the famous case of the 250 men and 16 officers of the Fifth Territorial Battalion of the Royal Norfolk Regiment that disappeared in a cloud of smoke during World War I. The list goes on . . .
What Happened to Night Ship 282? Investigators remain baffled over the events that caused the crash of a Cessna cargo plane piloted by Thomas J. Preziose near Spanish Fort, Alabama, on the night of Oct. 23, 2002. The 54-year-old pilot died when his aircraft, code named Night Ship 282, struck a mysterious unknown object and then crashed in the mud of Big Bateau Bay. Just what it was the collided with the plane, and how the accident happened, may always remain a mystery. In my research I started collecting stories about strange and unexplained happenings that I thought of one day condensing into a book. One of the stories was about an event that happened to several vessels just off the coast of Chicago one summer afternoon in the late 19th Century. They were all slammed by a storm of giant blocks of ice that fell out of a cloudless sky. I thought of that old story when I noticed accounts in Internet news links about some contemporary falls of large chunks of ice. It seems that strange falls of big blocks of ice have been happening for years and nobody knows why they happen. Is There A Super Holographic Device At Work? We have all heard the stories: Sightings of big cats roaming the countryside in England, Australia, the United States, and other parts of the world where such animals should not be found. A hideous creature seen in South America that the natives call chupacabra (goat sucker). Sightings of a strange winged "mothman" with glowing eyes in West Virginia. Appearances by large, hairy ape-like creatures that walk upright. We call it big foot in most of the U. S. Are they all contemporary mythology or are they the result of something else? Can An Iceberg Assume a Perfect Rectangular Shape? Ever since NASA made the photo of the rectangular iceberg public I have felt a need to write something about it. The problem, however, is what can be said other than “Wow!” Apparently the photos taken during a fly-over the Larsen C ice shelf in the Antarctic in October produced images of this particular berg. After seeing the images I waited patiently for scientific explanations . . . how could such a thing happen without some kind of human interference? On the morning of November 11, 2018, something odd occurred off the tiny island of Mayotte, just off the northern tip of Madagascar in the Indian Ocean. Whatever it was it triggered powerful seismic waves that raced completely around the world, shaking this planet for about 20 minutes. What was strange is that the power of the wave was not felt, heard or noticed by anybody above ground. The low frequency wave was recorded in sensitive instruments but it whisked by world earthquake detectors. It swept across Africa setting off sensors in Zambia, Kenya and Ethiopia. It raced around the world triggering devices in New Zealand, Chile, the United States, Canada and the Hawaiian Islands. French inventor Troy Hurtubise claims that he dreamed the complete design of an eight-foot-long device that he said can see through solid walls. The 55-year-old Hurtubise says the machine that he calls Angel Light, appears to defy all known rules of physics, but it opens windows through solid objects as if there were no barrier there at all. Scientists at the Massachusetts Institute of Technology have tested the device and confirm that it can do exactly what Hurtubise claims it can do. It has long been known that a near-death experience can sometimes trigger psychic abilities and other right-brain functioning in humans. A recent incident at an Israeli zoo indicates that advanced brain functioning also can occur in other lower primates as well. 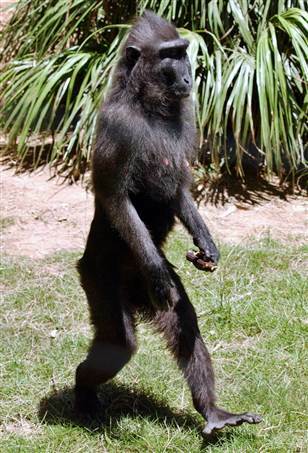 An Associated Press story told of Natasha, a five-year-old black macaque in a zoo near Tel Aviv, that started walking “exclusively on her hind legs” after recovering from a stomach virus that nearly killed her. What Is The Truth Behind Those Elongated Skulls? Among the great archaeological mysteries has been the existence of humanoid skulls that look nothing like the skulls of humans as we know them today. And lest we stand accused of building a case based upon a few "freaks" of nature, it should be pointed out that these odd-shaped skulls are relatively numerous, and they are found at archaeological dig sites all over the world. In this overpopulated and troubled world we live in, there is a popular dream of escaping to a tropical paradise island where we can live in quiet bliss, supping the juice of cocoa nuts, catching our daily meals in the water and just getting away from it all. A few people have actually tried this. And if they ended up on Palmyra Atoll in the heart of the South Pacific they quickly discovered that tropical island wasn’t where they wanted to be. The place is reportedly haunted or cursed. Norman Sanders, who conducted geological surveys on the island, wrote in his log: "Palmyra will always belong to itself, never to man. It is a very forbidding place." A story in the Philadelphia Inquirer about Gloucester County residents hearing shrill screams from a haunted Civil War cemetery caught my eye. Stories like that are hard for anybody to pass up because they suggest supernatural goings on. And no matter what folks say or believe . . . the subject of ghosts and the possibility that there is a hereafter is of interest to everybody. We all want to know. Famed American author and humorist Samuel Clemens, best known by his pen name, Mark Twain, was born in 1835 when Halley's Comet was lighting up the night sky. He died 75 years later, on April 21, 1910, when the comet was again making its next pass through our solar system. That a person would be born and live out his or her life during the time it takes a comet to make its complete circling trip through the heavens is not that peculiar. What is somewhat strange about Clemens' death was that he predicted it in his own writings. Fires broke out in homes and buildings throughout the village of Canneto di Caronia, Sicily, in January, 2004, and nobody knew why. The entire town became so dangerous the people were evacuated for several months. Then in the summer of 2014 the phenomenon occurred again and the people moved out once more. The natives said things burst into flame without warning. Mattresses, cars, cell phones, refrigerators, radios, televisions and a variety of household items hit with what seemed like spontaneous combustion, even when the electricity was turned off. One fire broke out at the local water plant. Another burned a bundle of wiring that was unattached to any circuit. Back when LSD was a popular recreational drug some of my acquaintances talked about strange experiences in the woods where they witnessed little people dancing and running among the trees. Because we were all told LSD was a hallucinogen, that is, it made people imagine things that were not real, I dismissed the stories as just that. I thought perhaps my friends were hallucinating while under the influence. Yet the people who told me these stories spoke of their visions as if they were quite real. For them, it was as if the drug unlocked a veil and allowed them to see things that could not be viewed under normal circumstances. Aboriginal people all over the world also speak of the little people. It is a universal story. Can there be any truth to it? Was the world on the brink of nuclear warfare? The late Cuban dictator Fidel Castro warned in September, 2010 that he believed such a war could break out unexpectedly before the week was over. The story sent shock waves around the world. Somehow we got personally involved in that warning. My late wife Doris had been bothered for years by voices that come to her without warning. She said they sounded like a radio announcer reading the news, but the volume was so low she could rarely make out what was being said. Then the voices grew louder and the things Doris heard became more distinct. She said they spoke about dealing with a looming threat of nuclear war. It seems strange how it takes science a long time to catch up to things that most people already know. We are addressing that “prickly” feeling we get in the back of the neck when we sense someone is watching us from a dark alley, window, or even a closed circuit video camera. Knowledge like that defies logic. Not long ago a team of researchers at Freiberg University in Germany, headed by Dr. Stefan Schmidt, looked at this phenomenon and team members say they found evidence that humans really do have a “sixth sense” about being watched. Is Alien Life Living Among Us? It was during World War II that pilots over Europe began reporting the appearance of strange unidentified objects in the skies that were not enemy craft. After the war these strange objects . . . often appearing as strange lights in the night sky . . .were reported all over the world. As a science fiction buff in my teenage years I began reading magazine articles and books by writers suggesting that alien visitors were indeed among us. Among the books that had an impact on me was Donald Kehoe’s “Flying Saucers are Real.” Was Kehoe right? The Aliens Are Here – And I May Be One of Them! Back when my late wife and I were dating and thinking of marriage, we happily discovered that we both lacked the Rh antigen and thus our blood was Rh-negative. We found ourselves among a 15 percent number of people in the world who had negative factored blood flowing through our veins. But we are a rare breed and contemporary researchers cannot trace our origins. Are we from another world? When Ted started the engine to warm the cab, there was a loud backfire. Suddenly smoke was pouring out from under the hood. The truck was on fire! Here we were, backed up to a spitting, spewing oil well, with a thin cloud of crude oil flying in the air all around us, and attached by a wire to a burning truck in a rainstorm. We were within seconds of having a serious oil well fire, the kind that blazed for weeks. I remembered that we had a fire extinguisher attached to the passenger's side of the truck. We both jumped out. Ted went to the hood and I grabbed the fire extinguisher. I recall bringing it to Ted, and he put out the fire. Later we realized that I broke a thick bar of steel when I pulled that extinguisher from the truck. Can a Jesus Icon Kill? I cannot resist passing along the following odd story that was sent to me via the mail. It seems the Hermitage Museum in St. Petersburg, Russia, removed an ancient icon depicting Jesus Christ from its display some years ago after it was feared that an energy field from the icon caused the deaths of several staff members. Students of numerology have been fascinated by the strange way the number 11 has been playing in world events, especially since 9-11 and then again with the terrorist assault in Madrid the following year on 3-11. The deadly terrorist train bombings in Madrid, Spain on March 11 occurred exactly 911 days after Muslim extremists attacked New York City and Washington on Sept. 11, 2001 known the world over as the 9-11 tragedy. Number 11 has been hounding humanity since the infamous 9-11 attacks. Consider this: The date of the attack was September 11 or 9 + 1 + 1 = 11, and to think that September 11 has 9 letters and 2 numbers: 9+2=11, and the number 911 is the telephone number for emergencies in the United States! Likewise, September 11 is the 254th day of the year and to add the numbers 2, 5, 4 the total sum is 11. And after September 11 there are 111 days left until the end of the year. The story gets even more peculiar. An odd twist of research into the human brain was sparked some years ago at the University of Sheffield, Sheffield, UK, after a campus doctor treating a student for a minor ailment discovered that his patient had no brain. As the story goes, the doctor noticed the student’s head was a little larger than normal, and he referred the man to the late Professor John Lorber for further examination. When examined by CAT-scan, it was discovered that this man, a mathematics student with an IQ of 126, had virtually no brain at all. We have all heard the stories about fish, frogs and ice blocks falling out of sometimes cloudless skies, but usually during heavy rain storms. But lately we have noticed reports of much more interesting objects crashing down on homes and yards. This time we look at falling worms, strange metal and glossy objects, and a storage shed that just tumbled from the sky. It doesn’t take a lot of searching to find them . . . those news clippings about strange and unexplained phenomena that defy all of the rules that we think are in place for the normal operation of our world. We offer three of the latest anomalies plucked from news reports in recent months: An unexplained 400-pound boulder high in the fork of a chestnut oak tree in Yellowwood State Forest, near Unionville, Indiana, is no more. Either the mere weight of the rock, a wind storm, or just old age caused the tree to fall bringing the rock it held crashing with it to the ground. There was a mysterious tree fell in the Patagonian Forest in Argentina. Then there was a ​giant ice ball, the size of a microwave, that recently fell from a clear sky into a parking lot in Douglasdale, South Africa. We recently watched a film on the Independent network that portrayed the fictional images of a strange incident where all of the characters were caught outside when it rained frogs. It was some of the strangest video footage we can recall . . . thousands of large fat frogs falling out of the sky and striking with a splat on car windows, house roofs, sidewalks and even people’s heads. While dramatic to watch, it was strange to think that we have seen news reports from various parts of the world that told of real frog falls, and that this strange event on film, while obviously fictionalized, has really happened. 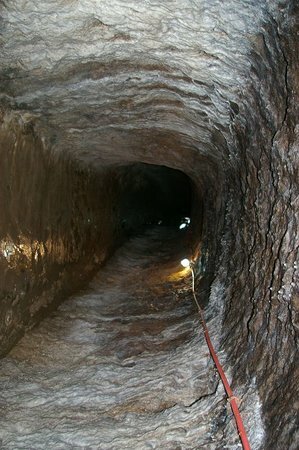 For years I have been intrigued by reports of mystery tunnels that seem to lead to nowhere deep under the Earth. The latest story, from The Japan Times, is in a review of a popular book by Japanese author Shun Akiba titled: "Imperial City Tokyo: Secret of a Hidden Underground Network." Akiba's book identifies "hundreds of kilometers of tunnels under Tokyo whose purpose is unknown and whose very existence is denied," the story said. Yet his book, a best seller since its publication in 2002, is already in its fifth edition. The Germans developed a powerful navy of submarines remembered as U-Boats during World War I that were extremely effective in blockading British ports and stopping the flow of vital supplies and manpower from the United States to assist in the Allied war effort. While the early submarines were dangerous places to work, and most men who served on them died at sea, it was said the sailors who served on one particular vessel, U-65, were more terrified of the ghost that haunted their ship than they were of confronting enemy forces at sea. The new rage among realtors in selling haunted houses may seem peculiar. But in this new somewhat insane world, people are demanding strange and exotic things. Why wouldn’t they be interested in owning and sharing a house with spirits of the past? What surprises me is that buyers are being goaded into paying extra to purchase a home with ghosts. In my years of reporting and because of the hobby my wife and I shared, of buying and restoring old homes, I can report from personal experience that most older homes are very likely haunted. There seem to be varied schools of thought among people even in esoteric circles today about the existence of ghosts and the ability of mediums and channelers that say they communicate with the dead. Over the years my wife and I lived in or were associated with buildings that were obviously haunted. An old Masonic Hall we once owned in Cass City, Michigan was so eerie, anybody that spent any time in the building either saw, heard or sensed the ghostly visitations. A small cottage we lived at Sedona was haunted by a young boy who played tricks. And an apartment we occupied in Bad Axe was haunted by an elderly woman who sat in a rocking chair by a window. During my search of the web for ghost stories to offer during the pre-Halloween season, I came across a strange story from a Chinese news agency. It seems that an unidentified youth came to a medium in Tampin with a problem. He said he was unable to sleep because he was being harassed by a female ghost, or spirit. The story did not explain what was happening to him, but some spirits definitely have ways to disturbing a household if they choose. The rash of mass killings by crazed gunmen has us all asking why such things are happening. Psychologists and news columnists are busy attempting to explain this phenomenon. Indeed, over the years we all have heard the stories about the hopeless schizophrenic that murders his or her family, or shoots up a restaurant full of people because "God told me to do it." So are the voices real? And if they exist, where are they coming from? The concept of time travel has been a frequent subject on this website since the beginning, and for good reason. There seems to be an important link between the present moment and the ancient past. Because of many archaeological anomalies, we have had a sense that the human race has been down this road before. It occurred to us that, as happens with all time travel stories, within this link can be found a peculiar paradox. I started having vivid dreams about sitting on that roof and watching a large orange glowing ball of light rise up from behind the barn. Even today, writing about those dreams makes my heart pound. I have wondered if the dream was a recollection of a real event and that I may have been one of the many people in the world who experienced abduction by aliens. If it happened I have no other memory of it. That was just one of many odd experiences. Does A Scottish Curse Lie In The Nine Of Diamonds? Planted deep within the mythology of Scotland is an old story that the playing card nine of diamonds contains a curse either on Scotland or from Scotland. Just how this curse is supposed to be played out, who is the recipient and who cast it is untold. When you research the history of this curse, there are various versions. Whichever version you choose to believe, or not believe, is up to the reader. All we can say at this point is that the story seems embedded in the lore of old Scotland and is enriched mostly in the telling, depending we suppose on which part of the country you may be living or visiting when you hear it. It was in 2006 when NASA satellites detected gravitational flaws that indicated something very large and heavy is sitting in the middle of a 300-mile-wide impact crater in the heart of Antarctica. Because it remains frozen under a thick layer of ice research teams have yet to determine just what this object is. It is located in an area dubbed Wilkes Land. Consequently the mysterious object has been named the “Wilkes Land gravity anomaly.” And the name tells us just about everything that is really known about this peculiar finding to date. But as the Earth warms and the ice continues to melt down, this and possibly numerous other secrets hidden on the Antarctic continent will be coming to light. Among the great mysteries found on the American landscape are the peculiar rock mesas standing on the high desert territories of Arizona and the adjoining states. The native tribes of the area have various legends explaining how these massive formations magically pushed up out of the earth. Geologists admit they can only theorize about their origins. While the writers for the website Casper Planet are known for their spoofs in the stories they post, the guy that suggested that the Devils Tower National Monument in Wyoming was found to be a giant petrified tree trunk with an ancient root system thrusting four miles deep and seven miles wide might have generated a theory worth considering. Zug Island is a man-made cay in the Detroit River, located just off the City of River Rouge, Michigan. The island has been the site of a large industrial complex that some say is owned by USS Steel, so people living along the river in Michigan and Ontario have always thought it is some kind of smoldering facility where steel or other kinds of metal are manufactured. For years people knew Zug Island existed. But it appears that there was never much concern about what went on behind those walls. That is until sometime in 2011 when a strange humming noise began bothering people in Windsor, Ontario, on the Canadian side of the river. The noise has grown worse and now it is shaking windows and rattling dishes on both sides of the river. Researchers say it is coming from the island but the source is being kept secret. It was Erich von Daniken’s controversial book The Gold of the Gods that generated my personal interest in the possibility that a secret network of underground tunnels exists in large parts of South America. While I no longer possess The Gold of the Gods in my personal library, I clearly remember von Daniken’s description of an exploratory trip through miles of mysterious clean-cut passageways, using only a flashlight to find his way. He said he and Juan Moricz, the man who allegedly discovered the entrance, explored miles of a subterranean labyrinth under the province of Morona-Santiago, Ecuador. Madame Helena Blavatsky, famed Nineteenth Century theosophist, writer and traveler, told of having knowledge of the entrance to a network of secret tunnels under the Andes Mountains that led to a cache of hidden gold. The stories persisted. But do such tunnels exist? 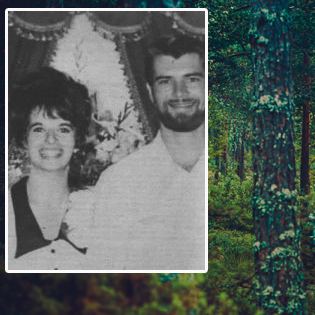 Among the many unsolved mysteries crammed in police files all over the country is that of the strange and apparent assassination of the Crowden Family near White City, Oregon, during the Labor Day weekend in 1974. Richard Cowden, his wife, Belinda June and their two children, David James, five, and Melissa Dawn, five months, went missing while picnicking at a campground at the nearby Siskiyou Mountains. The family was last seen buying a quart of milk at a general store less than a mile from the campsite. The murdered bodies turned up years later in a mountain cave several miles away. In his book The Adventures of Tom Sawyer, American author Mark Twain wrote how young Sawyer and his friend, Becky Thatcher, almost died in a cave adventure with "Injun" Joe. What few people know is that the cave Mark Twain wrote about really exists. It is a limestone labyrinth at Hannibal, Missouri, which bears the name Mark Twain Cave. There is an eerie story linked to this cave which is the reason people believe the place is haunted. There is a strange story out of the First World War concerning some 200 men from the Royal Norfolk Regiment that charged off into a cloud and never seen again. As the story is told, the incident was witnessed by three New Zealand soldiers who watched the regiment charge under heavy fire toward a hill at Sulva Bay, Turkey, and then disappear when giant grey clouds dropped over it. This happened on August 21, 1915, during the fierce Gallipoli Campaign. When Dixie Rawson of Bishopville, South Carolina, recently found large bite marks that tore away portions of the metal grill of her van, and neighbors found dead cows that had been ravaged by some creature in a nearby field, folks immediately thought about a 30-year-old legend of the Lizard Man. There is a little-known and little-reported phenomenon involving missing campers that has been occurring in U.S. national parks for well over a century. Researcher David Paulides, who has published three books on this subject and appeared on Coast-to-Coast radio, believes at least 1,100 people, mostly children, are included among the missing. Everybody knows about the pyramids of Egypt. Most people also are aware of pyramid-type structures built by the ancient civilizations that once inhabited the jungles of Central and Northern South America. But there are other pyramids that exist, some in China, India, and the ruins of a large pyramid also were found not long ago in the swamp lands of South Florida. 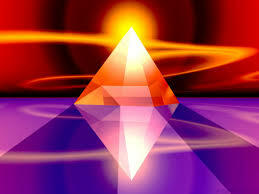 In short, large stone pyramids seemed to have been erected at one time in the distant past all over the world. On display in an enclosed case in the Warren Occult Museum in Moodus, Connecticut, can be found a worn Raggedy-Ann doll. An imposing sign over the case reads: “Warning: Do Not Touch.” Though the smiling cloth doll looks perfectly harmless and inviting, there is a good reason for the warning. The doll is believed to be possessed by a demon. Hauntings do not seem to be limited to creepy old houses and hospital buildings. Consider Sunshine 60, a 60-story tall skyscraper in the heart of Tokyo, Japan where shoppers, office workers and maintenance people deal regularly with the vestiges of a first-class haunted building. Since the day it was opened in 1978 there have been reports of dark shadows, strange noises, screams, scraping and banging sounds and violent rattling of the grates used to close off the shops for the night. It most recently served as a bed and breakfast before becoming a media attraction. But the Ancient Ram Inn has a dark history that dates back nearly 1,000 years since it was built in the Gloucester village of Wotton-under-Edge. The building has been owned by John Humphries, who has been restoring it since he bought it in 1968. He and his daughter, Caroline, once rented the rooms, mostly to ghost hunters and writers that came to experience spending a night with the supernatural. Humphries, last known to be in his 90's, shared the structure with an estimated 20 ghosts. There is a story of an unusual haunting incident told in the writings of the late Dr. George A. Zeller, superintendent of the Bartonville State Asylum for the insane near Peoria, Illinois. The foreboding building complex has remained closed and empty since 1972. It is privately owned and considered very haunted. Among the most bizarre stories is Zeller’s personal account of Old Book and the Graveyard Elm. Spirits are known to haunt hospitals, prisons and old houses where there has been a history of violent death. But it is rare when old school buildings are found to be haunted. An exception is the now vacant Elizabeth V. Edwards School building in Barnegat, New Jersey. Named for the woman who served as the school’s first teacher and who continued on to teach until her death in 1965, the school has had a long history in the community. People believe "Lizzy" never left the school after her physical death. Among the haunted ghost ships of the world sails the el Caleuche, a mythological Sixteenth Century tall ship observed by the Mapuche people who claim this strange vessel is seen nightly off the Island of Chiloe, for which the apparition bears its name. In watching a televised documentary about people with amazing mental abilities there was a story about people in the world who can recall what they were doing and what was going on in the world on nearly every day of their lives. One man who was interviewed could even remember scores of sports events and the names of players in games that occurred 40 years in the past. Who Was The Mystery Prophet Elijah? From everything we know about Elijah, he was a pretty amazing character. He appeared magically from nowhere. He lived without means in the desert. When his work on Earth was finished he was supposedly picked up by a fiery craft and carried off into the clouds. Elijah fits all of the contemporary descriptions of an alien visitor that appeared among us for a while to fix something that was going terribly wrong. He also fits the ancient human concept of a god figure. His story appears in the Bible. Fred lugs home a 100-pound burlap bag of freshly dug potatoes. For lack of room in his small house he leaves the sack outside in the sun for a few days. When he later picks up the bag to bring his potatoes in the house seems much lighter. Fred thinks someone has stolen some of the potatoes and contacts his friend, a local police officer. Careful examination of the bag shows that the seal has not been broken. It is full of the potatoes that Fred originally bought. But the bag, which weighed 100 pounds when he made the purchase, now weighs only 50 pounds. How can this be? The dank foggy streets of old London after dark has been the perfect setting for such ghastly tales as Jack The Ripper and the strange characters from the pages of Charles Dickens novels. Among the lesser known stories is that of Spring-Heeled Jack. They have been named the Baigong Pipes since they are found on and near Mount Baigong near the City of Delingha in the heart of China. Archaeologists and other researchers that have studied this phenomenon agree that the pipes, which protrude from the ground, from the side of rock walls and are even found under water, are “out-of-place” artifacts from an ancient past. They suggest either an ancient intelligent race that preceded humans by an estimated 100,000 years or were the product of alien intervention. If the Tower of Babel story is incorrect and a mythological god didn’t magically change humans into a hodge-podge of unique races with different skin color, language and general bodily appearance, how did we end up so different from one another? Everyone has answered a ringing telephone at one time or another and have a dead silence awaiting them when they put the headpiece against the ear. Some say that if you listen long enough, and have good enough hearing, you might hear faint voices, almost whispers on the line. Are they voices of the dead? It is said that people hear voices in fans, or coming from the radio static of a blank television screen, or even the dull hum of an electric motor. There are people who believe these are voices from the other side . . . from dead relatives desperately attempting to make contact . . . to send us an important message. They call it Electronic Voice Phenomenon, or EVP. Imagine being a sailor on the high seas and watching as the head of a massive black bulbous monster with large reddish eyes rises up out of the water in front of the ship. It rises higher and higher until it towers over you; a giant dripping behemoth towering many times the size of the ship. And it is looking right at you. Japanese seafarers and fishermen have long told of such sightings. They have even given this creature a name. They call it Umibozu. There has been controversy over the case of four-year-old Andrew Lucas, a Virginia Beach boy who remembers being a marine and dying in a burning building in an earlier life. Andrew’s parents say their son remembers details that strongly suggest he may be the reincarnated soul of U. S. Marine Sgt. Val Lewis, who died in a bomb explosion on October 23, 1983, in Beirut, Lebanon. Andrew isn't the only child remembering a wartime death. While critics attack the stories their experiences build a strong case for reincarnation. Animals clearly have an amazing sense of direction. We see that in the birds and even butterflies that migrate seasonally sometimes for thousands of miles. Fish swim free in the great oceans of the world but always return to the rivers where they were born to spawn. And then there is Buck, the three-year-old Labrador that traveled some 500 miles from Winchester, Virginia, to find his master who had moved to Myrtle Beach, South Carolina. Among the numerous and somewhat contemporary prophets of note is a Nineteenth Century Serbian peasant named Mitar Tarabich. This simple man made some incredibly accurate predictions that included World Wars I and II, the rule of Marshall Tito, and the Serbian upheavals at the end of the Twentieth Century. Tarabich, who lived from 1829 to 1899, dwelled in the small Serbian village of Kremna. After experiencing his remarkable visions he told them to a local Serbian orthodox priest, Zaharije Zaharich, who wrote everything down in a small notebook. There are some spooky historical events hovering over the office of the United States President that go beyond natural explanation. Kennedy was the last American president to die in office, thus his murder appears to have ended the old Tecumseh curse. 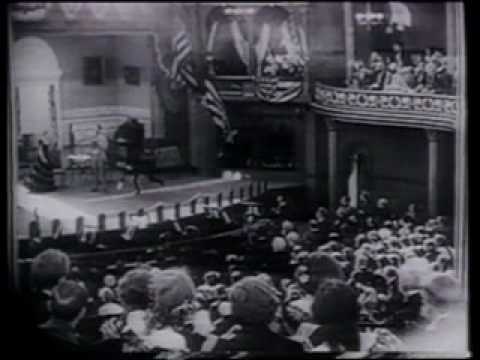 But the Kennedy assassination and the assassination of Abraham Lincoln have jolted historians with a long list of synchronicities that have been hard to explain. Tucson, Arizona resident Tom Boyle made headlines in 2006 when he physically lifted a car off of an 18-year-old biker who accidentally got struck and then pinned under the vehicle. Upon driving onto the scene, Boyle lifted the front end of the car so Kyle Holtrust could be pulled out from under it. We suspect that Boyle probably could not walk up to an automobile and lift if off the ground today. There is something about emergencies and the adrenaline rush that accompanies an emergency that allow us all to accomplish amazing fetes of power when we find it necessary. They called it 1991 VG when the object made its first pass through our solar system. Astronomers first considered it a large asteroid, about 32 feet wide, that came within 280,000 miles of Earth before slinging its way back out into the deep void of space once more. But for observations reported by astronomer Duncan Steel in 1995, and a discovery that 1991 VG was making a second pass in 2017, the object might have been all but forgotten by now. We first heard about ley lines when my wife and I met a homeless young man at Sedona, Arizona. The man said he could see the ley lines surrounding the Earth and knew how to alter the energies that follow them. Sedona was a magical place in those days and meeting this young lad was just one in a string of strange esoteric events that changed our perspective on the universe as we thought we knew it. I had almost forgotten about the ley line story until I read about the theories of Alfred Watkins that the megaliths, standing stones, old crosses, burial mounds, old churches and other ancient markers throughout the British Isles are aligned with ley lines circling the planet. Watkins noted that according to old folk-lore, there is a natural flow of energy that follows the lines. There are many stories involving the unexplained disappearance of people . . . in fact entire brigades of soldiers and the crew of ships at sea. Among the famous mysteries of the sea is the story of the sailing ship Mary Celeste, found in 1872 in perfect condition, sails set, nothing out of order, and moving before the wind on the open Atlantic without a soul on board. Another similar historical disappearance occurred at the American colony on Roanoke Island, off the coast of North Carolina, in 1590. About a hundred men, women and children living in the colony went missing and no trace of them was ever found. Many Native American tribes throughout the United States, and perhaps aboriginal people around the world, share a cross-cultural story about a giant bird that rises over the land either during times of great trouble, or to cause great trouble, and in some cases to bring thunder and rain to make the crops grow. This creature is generally known to the American tribes as the Thunderbird. Ancient cultures in Europe, including the Greeks, called it the Phoenix. Similar mythology exists throughout Africa, Asia and Europe. Were Nazca Lines “Doodles” From Space? California Anthropologist Dr. Sasha Lessin, on her website enkispeaks.com suggests that ancient visitors from space not only used the flatlands of Nazca, Peru as a landing site for flying craft, but they used the power from the ships, while standing-by for launching, to doodle the giant "mystery" images found on the site. 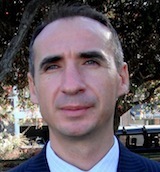 Dr. Alan J. Brown, a Southern Methodist University psychologist, is the author of a book about something quite esoteric: “The Déjà vu Experience; Essays In Cognitive Psychology.” We all have recollections of a Déjà vu experience. The word means “already seen.” It is that eerie feeling that we’ve been in a place, or walked down a street, before actually being there. It almost seems as if we are reliving a dream. High in the Andes Mountains on a plateau just east of Lima, Peru, can be found a “forest” of giant granite rocks seemingly cut or worn into hundreds of shapes that look like human faces, animals and even religious symbols. The shapes at the site, known as Marcahuasi by the natives, are so vague that it is difficult to determine if they were accidentally formed by acts of nature or if they were once distinctly cut in the stone some millions of years in the past by an ancient civilization. 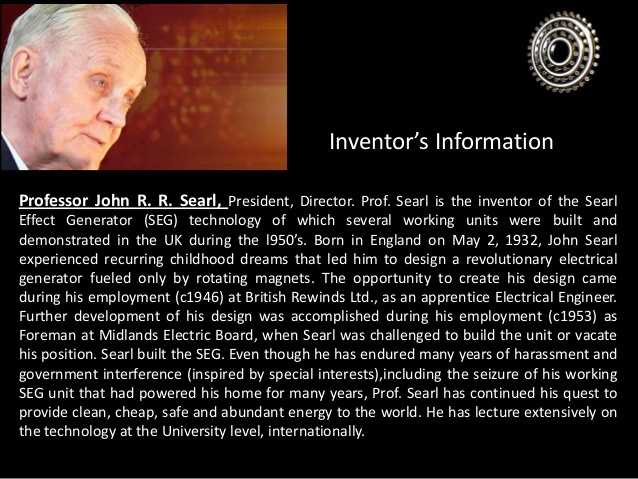 When he was 18, a very bright young English boy named John Roy Robert Searl, who had an interest in electronics, was attempting to design a new type of generator. As the story is told, he built a device made of several metal plates and magnets that appears to explain how UFOs can fly. What was unexpected was what happened when he tested the device. Old newspaper clippings say that the metal plates continued to spin faster and faster, and then lifted off the ground, rising to a height of about fifty feet and breaking the union it had with the engine. It hung there for a while, still spinning. A pink halo was noticed, indicating ionization was occurring in a field surrounding the device. As the story is told, the device caused local radio receivers to switch on before it began rising higher and higher into the sky. Eventually the spinning plate disappeared. Some thought it went off into space since it was never seen again. Some researchers have dubbed it the Searl Effect. Author and investigative journalist David Paulides has been drawing national attention to an unsolved number of human disappearances occurring in the national parks all over the United States and spanning a period of over a century. Paulides, a former police officer, has published five books and made appearances on the nightly Coast to Coast radio show to speak about cases that he says seem to defy logical and conventional explanations. His book Missing 411 points to 1,100 cases where people mysteriously vanished from U.S. parks. Many of them were experienced in forest hiking. The stories of people stepping unexpectedly back in time are familiar to all of us. When I hear them there is always a strange sense of déjà vu and the hair seems to rise up in the back of my neck. I am referring to peculiar slips in time, when people experience events, or catch strange glimpses of people, places, and moments out of the past. It is as if the ghosts of lost souls are stuck in that moment in time and reliving some event like a broken record that keeps playing the same bars over and over. On December 24 a strange story involving the Russian Navy began circulating the Internet. It seems the research ship Admiral Vladimisky had been dispatched to the Saudi port city of Juddah, the gateway to Mecca, to pick up a mystery artifact uncovered by construction workers at Mecca and carry it to the Antarctic. The artifact, identified as the “Ark of Gabriel,” was uncovered Sept. 11 by builders working on a major renovation of the Grand Mosque, the story stated. Fifteen workers were killed that day by a violent “plasma emission while attempting to remove the artifact. 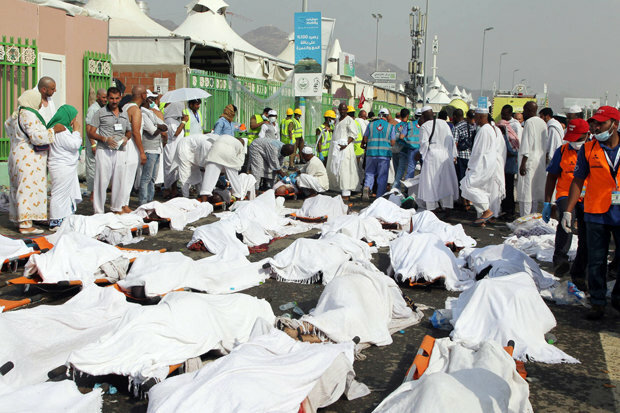 According to a blogger named Sorcha Faal, who revealed the story on line, the force of the blast shot up out of the hole and toppled a large construction crane and killed another 111 worshipers gathered at the mosque. Another blast occurred on September 24 when a second attempt to remove the artifact was made. This time it left over 4,000 dead, the Faal blog claimed. They said it was sometime about 4 a.m. on Thursday, December 6, 2012 that an estimated 75 electric utility poles across five Texas counties burst out in flames at about the same time. Fire departments rushed to put out the fires and service workers rushed to repair the damage and restore power to an estimated 20,000 customers that were affected by the phenomenon. The poles serviced customers for Austin Energy, Bluebonnet Electric Cooperative, Pedernales Electric Cooperative, Oncor Electric Company and Hilco Electric Cooperative. Public Safety officials said power poles in Hill, Falls, Bell, Williamson and McLannan Counties mysteriously began burning. Some of the fires involved transformers. Others were just fires on the tops of standard wooden poles that supported electric lines. Benbrook Lake is one of many man-made water reservoirs created in Texas and throughout the dry Southwestern Park of the United States where water is an important commodity for cattlemen. This lake, located near Fort Worth, has gained a bit of fame since it was created in the mid-1900s. It appears to be the home of a "goat-man," or a bigfoot creature that gets spotted from time-to-time. It has even had its picture snapped. Back when LSD was a popular recreational drug some of my friends talked about strange experiences in the woods where they witnessed little people dancing and running among the trees. I thought perhaps my friends were hallucinating while under the influence. After living for a while with the Native Americans of the Southwest, however, I have had a tendency to believe there may be something true about this story. They had similar stories. They are called Geow-lud-mo-sis-eg, or "magical little people," among the American natives. On the Hawaiian Islands, the natives talk about the Menehune, or "small sacred workers." And of course the Irish legends speak of the Leprechauns, the English have stories about the Brownies, the Scandinavians speak of trolls and the Germans told of Kobolds and Gnomes. Interesting that the Indigenous people throughout the world share legends about little elves, fairies and dwarves that live in the forest and generally avoid contact with humans. All of the stories about secret ancient tunnels prodding deep into the Earth make us think that they must certainly lead somewhere. Since they lack proper oxygen, continue on for miles without a sign of ending, and in many cases are found to be blocked by collapsing ceilings or walls, potential exploration of such burrows has ended in failure. The authors of such stories can only speculate. But nobody knows; or do they? There is another collaborating hypothesis, shared by a lot of people, that the Earth may be hollow. Ancient folklore is laced with stories about an underworld. The Christians believe that Hell is located there, Kabalistic literature describes an “inner earth,” and the Buddhists speak of Agharta, a subterranean empire filled with cities. The Buddhists say that many tunnels lead from South America and Tibet into Agharta, a complex of cities and tunnels occupied by a super race of beings. Humans appear to be motivated to build tunnels, caverns and even entire cities under the surface of the earth. We supposedly do this for purposes of safety in the event of nuclear attack or adverse weather. 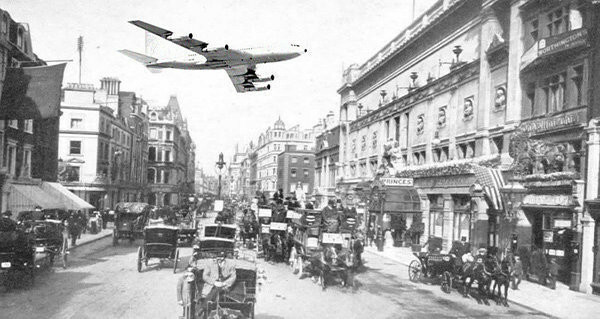 We suspect the militaries like to go underground to hide arsenals and other weapons of war from observation by spy aircraft always scanning from the skies. Whatever the reason, there have been constructed entire underground cities in some parts of the world. Some of these places are well known as unusual tourist stops. Others not so much. Probably the largest and most famous underground city network is the RESO, which exists below Montreal, Quebec. Over the years I have read various books written by explorers and archaeologists who claim to have found entrances to what appeared to be endless man-made caverns leading deep into the earth. I think it was Erich von Daniken’s controversial book The Gold of the Gods that first triggered my interest in these secret and mysterious tunnels, which appear to be located mostly in South America. While I no longer possess The Gold of the Gods in my personal library, I clearly remember von Daniken’s description of an exploratory trip through miles of mysterious clean-cut passageways, using only a flashlight to find his way. The Buddhists are said to believe in the existence of a subterranean world called Agharta, where a great civilization, many thousands of years old, lives in peace and harmony under the leadership of a supreme ruler known in the Orient as the King of the World. It is said there are many cities in Agharta, all connected by a complex network of tunnels with high-speed vehicles that allow the occupants to speed from place to place, even under the oceans. The capital of Agharta is Shamballah, which is connected by an entrance to Tibet and the Dalai Lama. The civilization of Agharta is believed to be a direct line of descendants from Atlanta. These people once also occupied a large part of South America, which accounts for the spectacular and ancient ruins found in the mountains at altitudes impossible for contemporary humans to live. 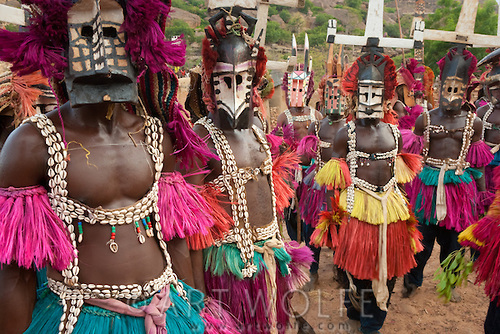 There is a tribe of people living in Mali, West Africa, known as the Dogon. What is interesting about these people is that they possess knowledge of our solar system and a neighboring star, Sirius, which appears as a bluish star just above the northern horizon in the northern hemisphere during the winter months. It is part of the constellation Orion. In addition to knowing about Sirius, the Dogon also know that this distant star has a companion star that appears to be a dim white dwarf that has a 50-year elliptical orbit about Sirius. This companion star is extremely heavy and rotates on its axis. At first thought one might say that using goggles and a virtual reality computerized device would not prove or disprove reports of out-of-body experiences. Yet a careful analysis of just how this device was used, and the sensation of being out of the body tested, suggests that the machine is really helping science prove that people can lift the veil and fly around in the astral, sometimes without warning. 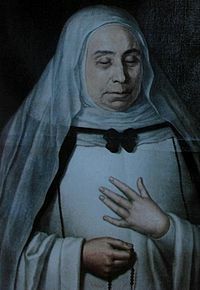 When you consider miracles within the Roman Catholic Church, a Seventeenth Century cloistered nun known as Sister Mary of Jesus in Agreda, Spain, was credited with having converted a tribe of Jarnano Indians in what is now New Mexico to the Christian faith without ever leaving the nunnery in which she lived. The discovery of this woman’s incredible achievement was made after Father Alonzo de Benavides traveled to New Mexico in 1622 where he encountered tribal people carrying crosses, reciting Roman Catholic rituals, using altars and practicing Catholic liturgy, and all of it in their native tongue. There is a story allegedly documented in various newspapers of the day and in British marine records about a merchant ship that came upon a strange uncharted island in the Atlantic Ocean, and anchored there for a few days so the crew could explore it. It was said ancient artifacts and remains of great stone buildings were found, giving credence to a theory that part of the great continent of Atlantis rose briefly from the sea before disappearing again. Indeed, as the story is told, Captain David Robson, master of the S. S. Jesmond of British registry, carefully marked the position of the island, but it was never to be found again. It happened in Strasbourg, France, in July, 1518. As the story is told, a woman named Frau Troffea began dancing non-stop in the street. Soon other people joined her. Within a week there were 34 people dancing without stopping, day and night. By the end of the month there were at least 400 people caught up in this strange crazed dancing. The people danced until they began dropping dead from exhaustion, stroke and starvation. Even as they lay dying on the street, their legs continued to jerk and move as if they were still dancing. Among the weird and unexplained stories told among the natives throughout our world are the tales of the green children who have popped up in the rural areas of Europe. As the tales are told, green children stumbled out of the wilderness on two occasions, the first near a place called Woolpit in Suffolk, England, during the reign of King Stephen, sometime around the year 1173. Green children reportedly appeared again in 1887 near the town of Banjos, Spain. In both cases the children were confused, alone, and taken in by the local citizens. They were unable to speak the language of the locals, were dressed in strange clothing, and there skin had a green hue that astounded the people that found them. I have lived in several places throughout the United States over the years and I don’t think I have ever experienced a location where we haven’t been shocked by a deep, rumbling clap of thunderous discharge that literally shakes the foundations of the house, rattles the windows and makes everyone sit up and ask “what was that?” But short of your neighbor's house having exploded, there is no good answer. Calling Dr. Raymond Brown – Wherefore Art Thou? There has been a strange story floating around the web about a Dr. Raymond Brown from Mesa, Arizona, who got separated while scuba diving with friends near the Bahamas in 1970, and accidentally came upon the top of a large pyramid projecting from the shifting sands on the sea floor. As the story goes, Brown found an entrance and swam inside the pyramid where he found brightly lit rooms and beautifully cut crystals and other stones. He found a plate on which rested a pair of carved metal bronze-colored life-sized hands holding a crystal sphere three and a half inches in diameter. Brown allegedly took the crystal, swam back out of the pyramid, and carried it with him back to Arizona. No sign of Brown, his crystal artifact, or the underwater pyramid were ever found even though divers and researchers have reportedly searched, believing it is a remnant of the legendary lost Continent of Atlantis. In our ongoing search for odd world events we have posted stories in the past about giant mysterious blocks of ice that seem to be falling to earth, often from a cloudless sky. Some of these ice balls have been large enough to do severe damage to property. The latest round of falling ice stories is starting to get a bit scary. Something strange recently happened in Michigan last year. A large crack stretching several hundred feet in length and about five feet deep appeared in the ground. The Michigan crack occurred Monday, October 4, on property occupied by Eileen Heider on Bay de Noc Road in Menominee County, near the Wisconsin State line not far from the Western shore of Lake Michigan. Back in June, 2005, in another isolated area hear Claude, Texas, another crack in the earth, even more dramatic than what happened in Michigan, also appeared in much the same way. The Texas crack was so massive it stretched hundreds of yards in length and one report said it measured from 30 to 50 feet deep. There are many stories involving the unexplained disappearance of people . . . including entire brigades of soldiers and the crew of ships at sea. The stories don't come up frequently and some of them date back so far into the past that the truth of such events are somewhat lost in the dust of time. But the stories are hauntingly told and retold. We offer some of the most bizarre. In watching a televised documentary about people with amazing mental abilities there was a story about people in the world who can recall what they were doing and what was going on in the world on nearly every day of their lives. Of course when they show such stories there is always the disclaimer. He is usually a scientific type that claims such amazing abilities can be explained away and that the whole concept of photographic memory is either non-existent or that people who have this "gift" are using some kind of trickery. I wanted to jump into the television set and confront the man who dared to pooh-poo this kind of psychic ability. That is because I have been living with people with amazing psychic capabilities, and have personally met others with so-called photographic memories that literally astounded me. We will tell you about a few of them. Children Remembering Wartime Deaths – Reincarnation? There has been controversy over the case of four-year-old Andrew Lucas, a Virginia Beach boy who remembers being a marine and dying in a burning building in an earlier life. Andrew’s parents say their son remembers details that strongly suggest he may be the reincarnated soul of U. S. Marine Sgt. Val Lewis, who died in a bombing explosion on October 23, 1983, in Beirut, Lebanon. But critics maintain that there is no such thing as reincarnation. The concept of time travel has been studied by great minds in physics, including Einstein and Tesla, but no one knows for sure that it is possible. Yet stories of a few unexplained events have occurred over the years that suggest people have either purposefully, or unintentionally slipped through time warps. The time traveler stories are fun to read. Nearly all of them have been found to be clever hoaxes designed to stir our imagination, but hopelessly flawed. We offer some examples. What Really Happened To Abraham Lincoln?